He: (thinks) Enough is enough! I can't stand it anymore. In fact, I shouldn't stand it anymore. I am a man after all, I shouldn't let go of my dignity! He: What does she think of herself? Can't I have what I want? IT IS MY HOUSE. She will have to pay the price. He: (Laughs) *Devilish* After all, even Eve, the only woman at that time had to pay the price of her fault. He: (to his girlfriend, even though she is not listening) You just wait and watch, Miss Granger, what I do now. 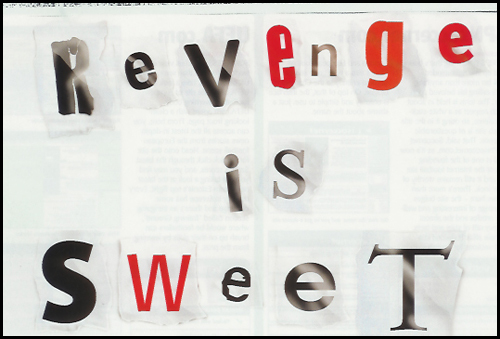 He: Ahh, the sweet taste of revenge! something within me.. clinched that end would be this way! hehe, am i so predictable? nice effort.. it made me laugh at d end. :P :D lolz.